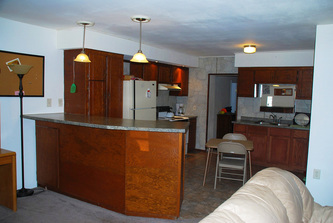 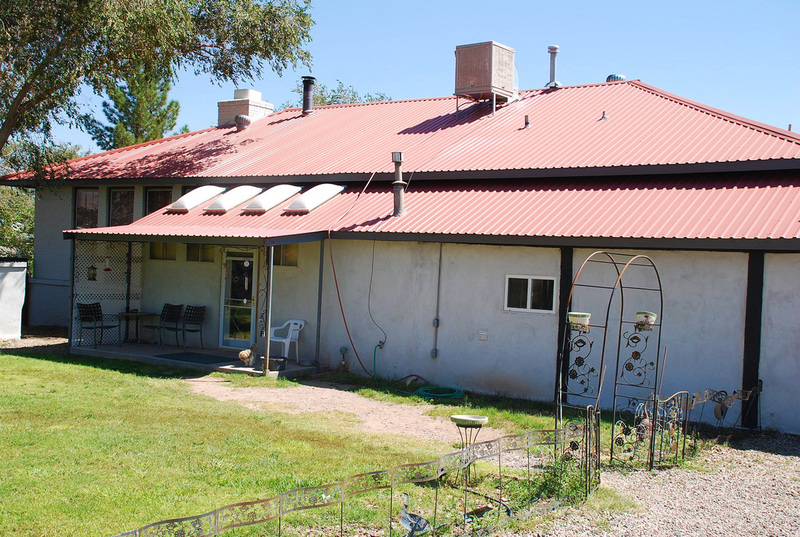 Reduced from $345,000 to $245,000! 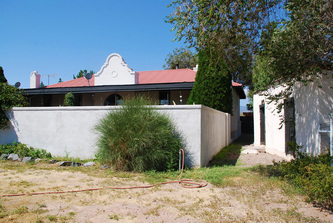 Formerly “The Old School House” in Luis Lopez, situated just 5 miles south of Socorro, this Hacienda was built around 1930 and has an antique charm beginning with its Spanish bell-tower style frontage, a fish pond decorating the front yard, and a 14’x65’ as you approach the front door, above which is a gorgeous half-circle stained glass window. 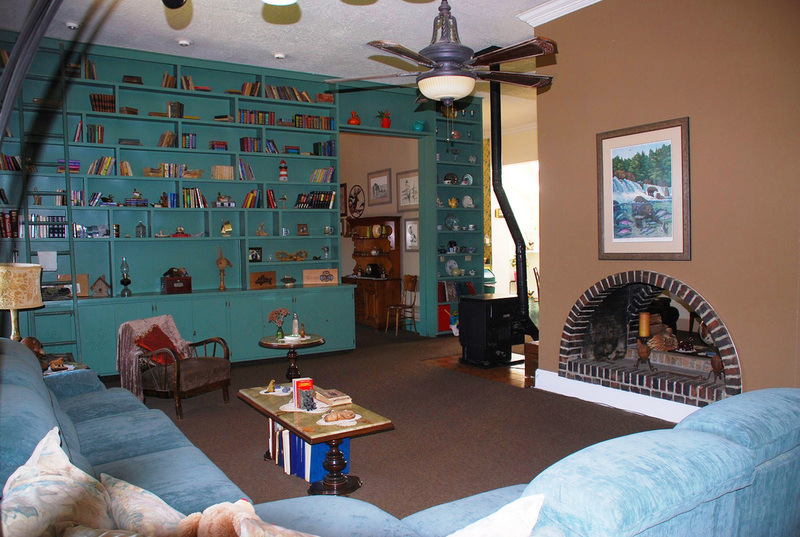 Enter this house into a grand foyer with high ceilings and built-in bookshelves. 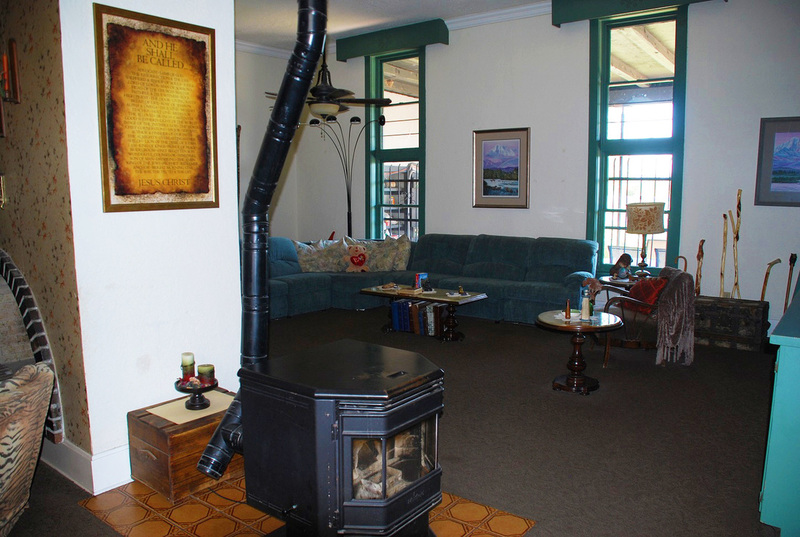 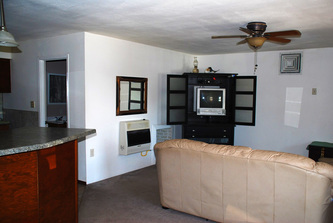 The family room and living room both have access to the same fireplace, as well as a large wood stove which supplies the living and kitchen areas with sufficient heat. 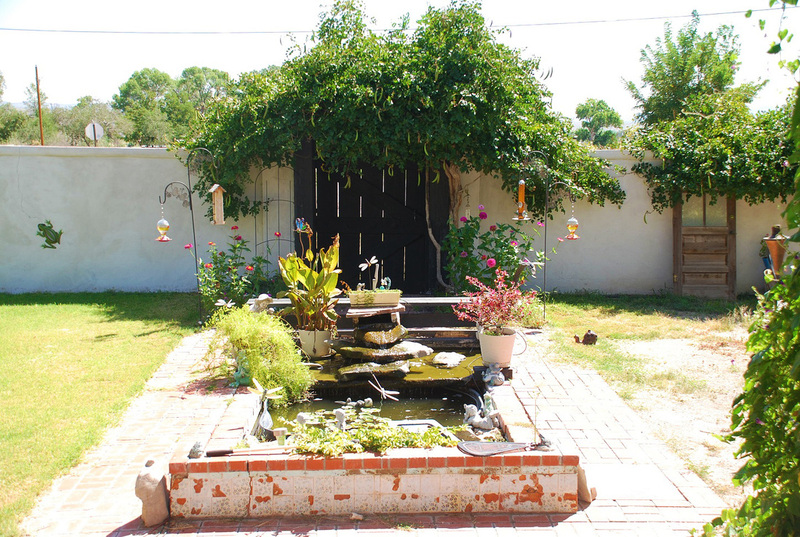 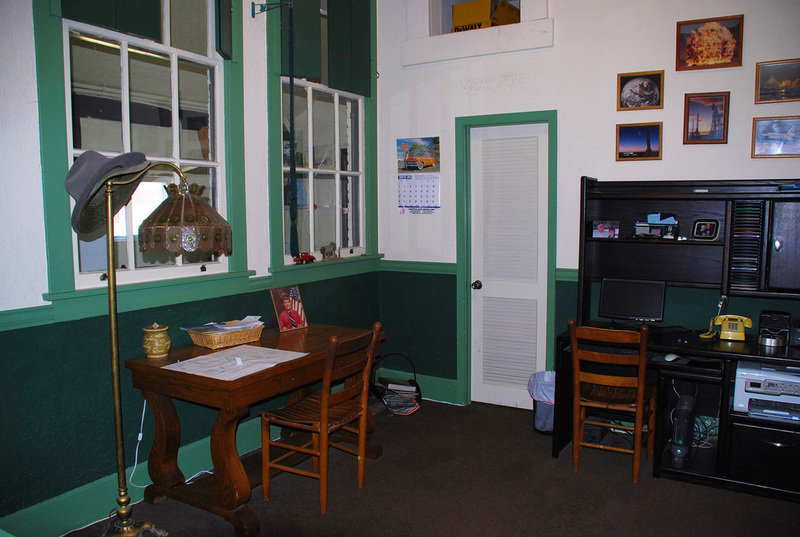 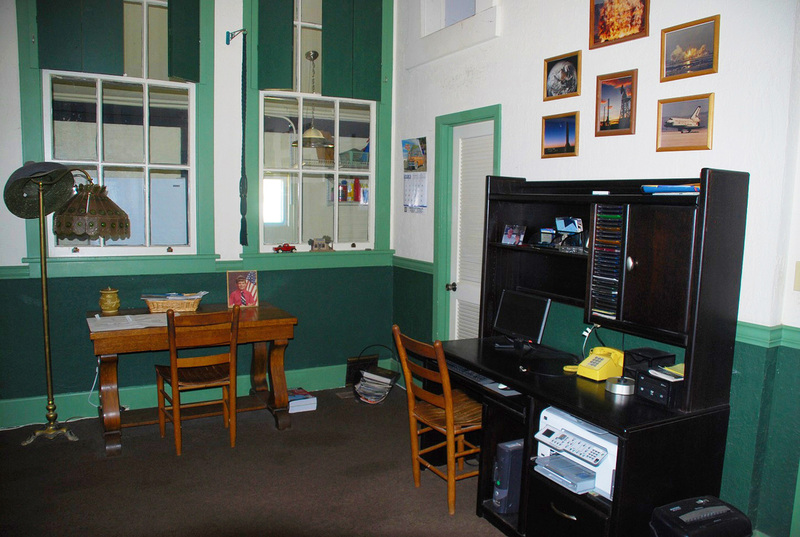 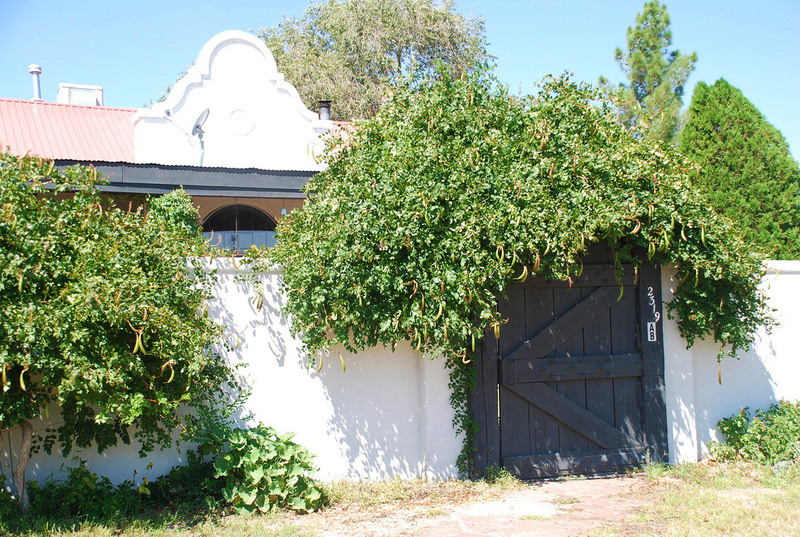 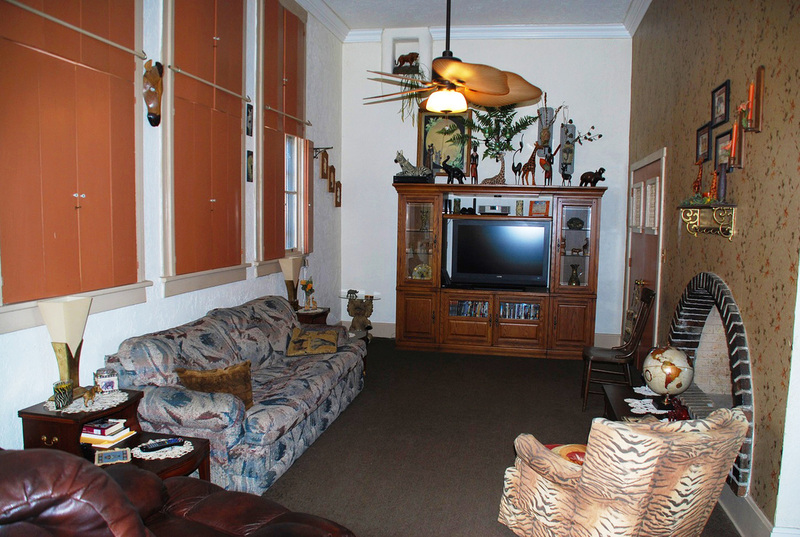 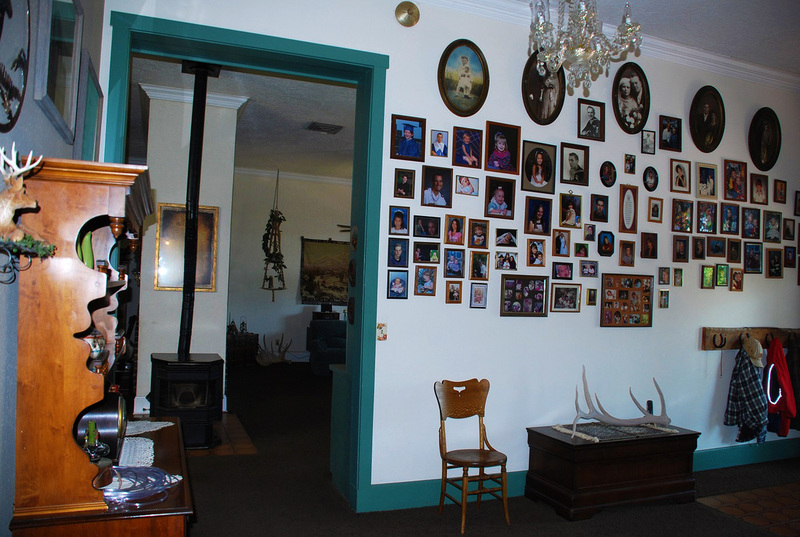 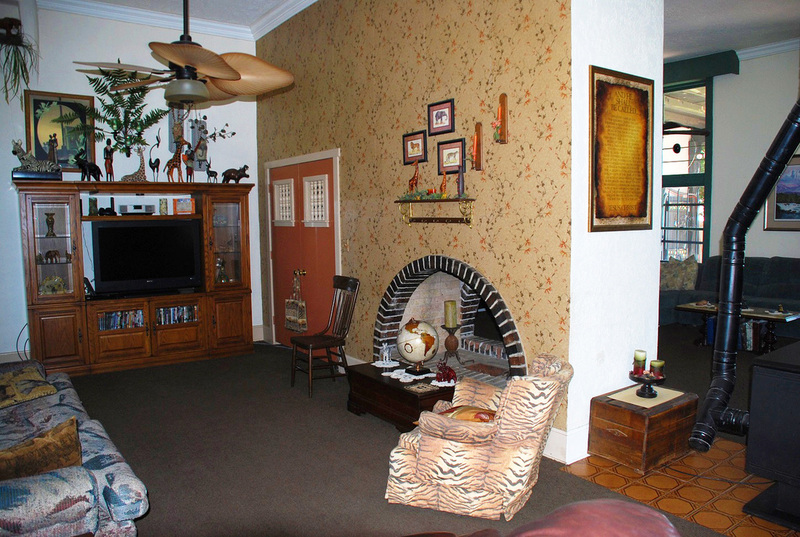 The entire house as well as the 1,296 square foot guest house, outbuildings and yard are very well maintained. 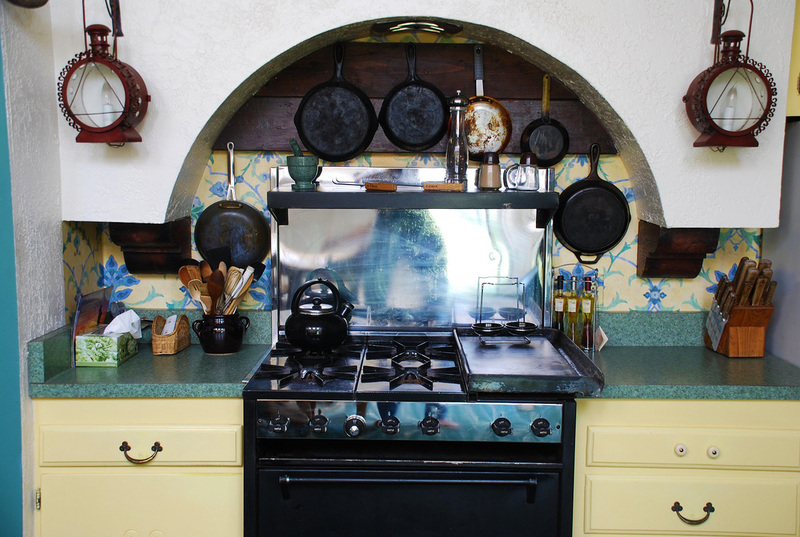 The kitchen features a round brick backdrop above a gas stove. The master bedroom and a second bedroom feature kiva fireplaces for extra ambiance and additional heat, although the entire house is heated by a forced air heating unit. 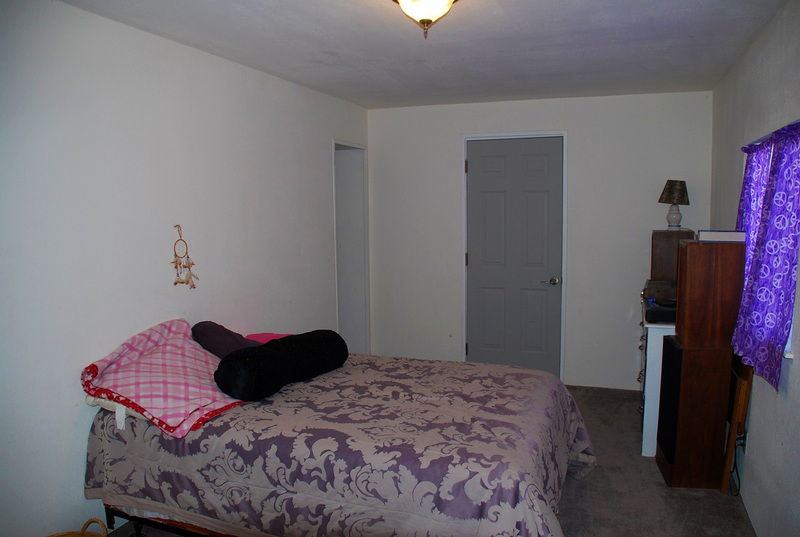 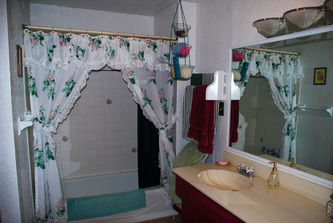 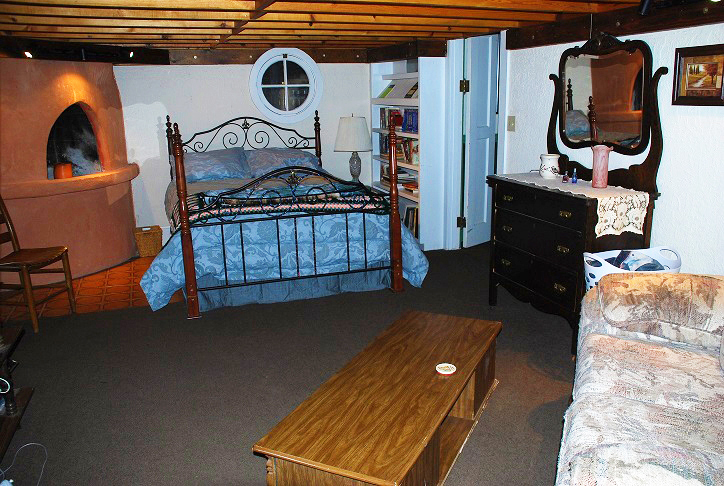 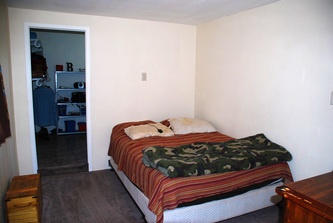 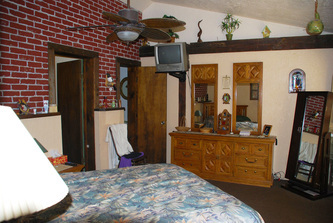 There is carpet in the bedrooms, and the remainder of the house has terrazzo tile flooring. 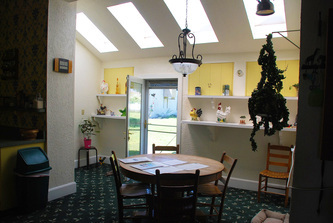 Added to the kitchen is a 100 square foot storage room which could easily be used as a greenhouse to grow fresh vegetables and herbs. 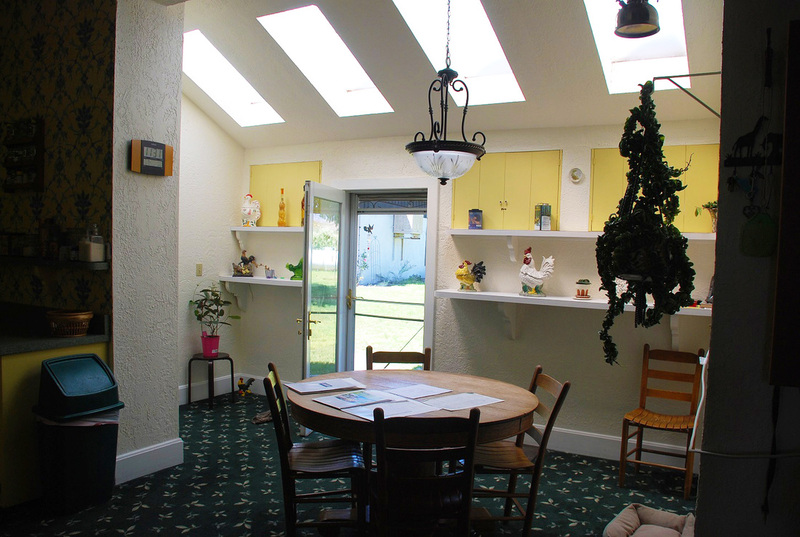 The entire home is bright with sunlights and plenty of windows throughout. Across the yard, one of the garages in the 40’x60’ newer metal barn is presently used as a shop, while the center portion of the barn protects a large 5th-wheel camper. 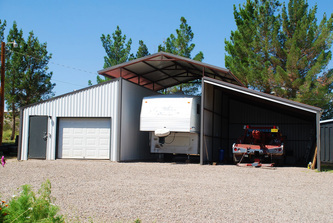 The third bay of the barn is used as a car port. 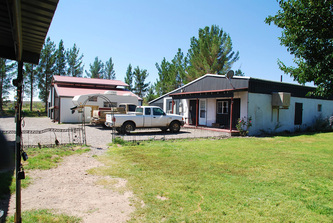 The barn could easily be converted into stalls, equipment and hay storage for horse owners. 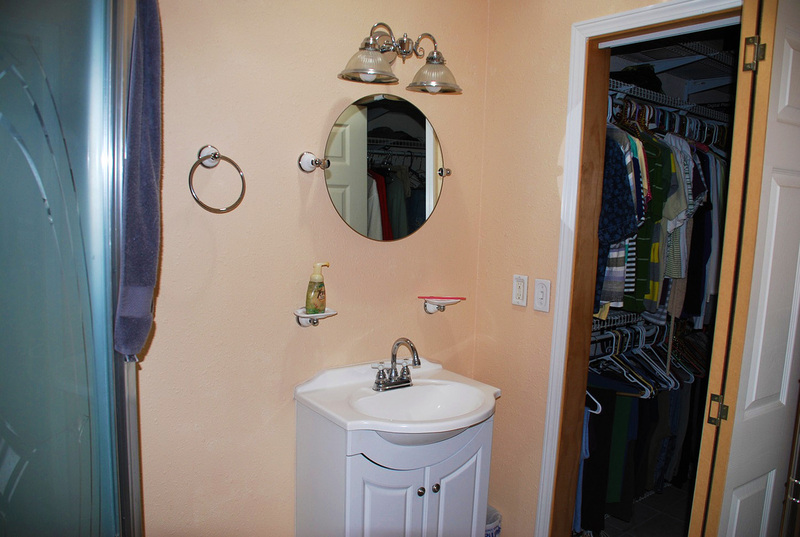 It is only a short distance from the property to ride the Bosque along the Rio Grande. 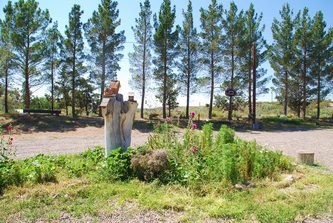 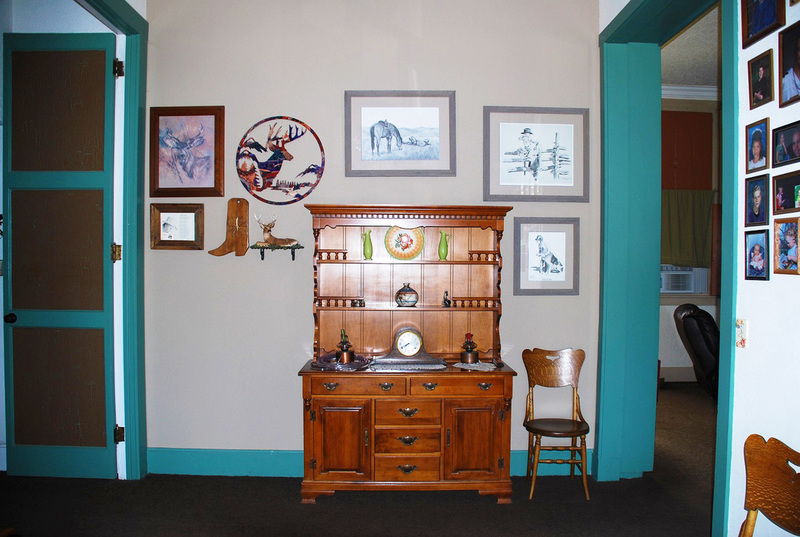 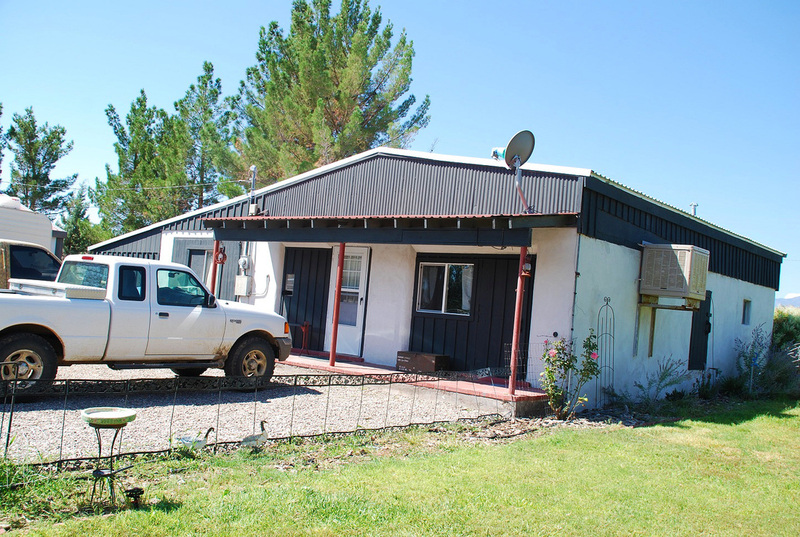 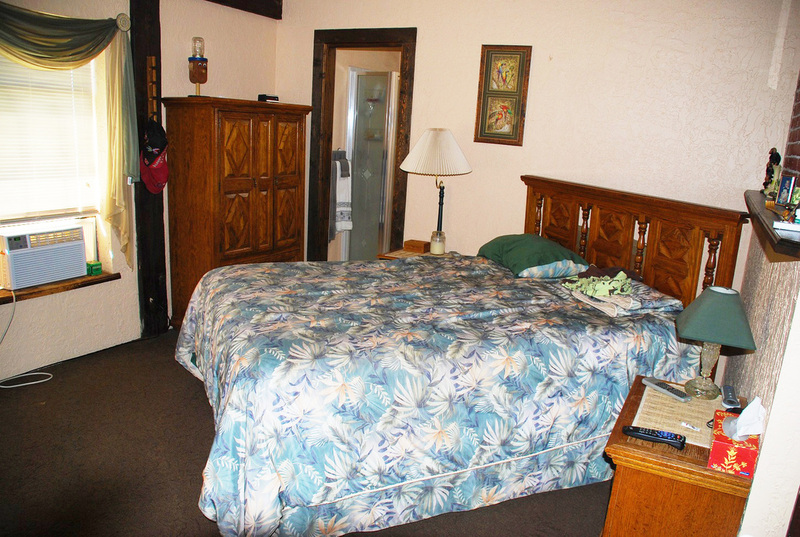 Next to the barn is a freestanding recently renovated guest house with 3 bedrooms and 2 baths. A circular driveway adds to the overall charm of this farm setting. 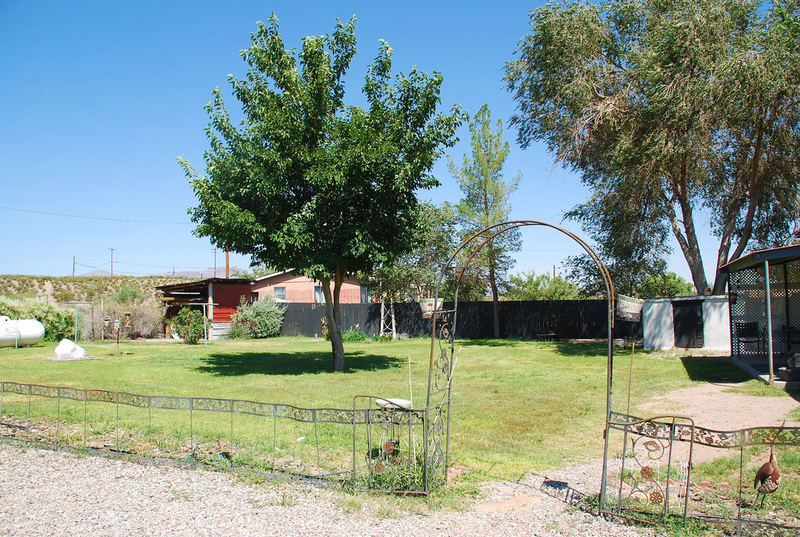 A fenced-in back yard with irrigated lawn allows for family gatherings and barbeques. The property has its own well which produces excellent drinking water. 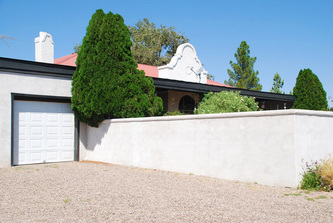 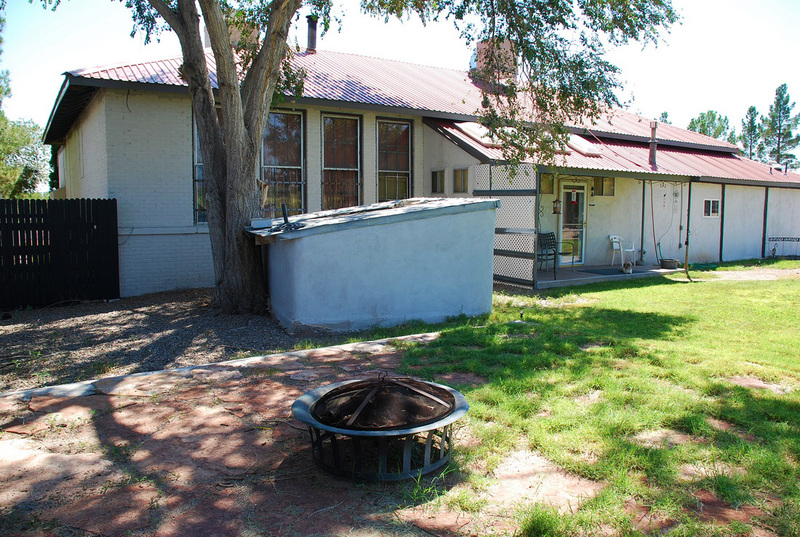 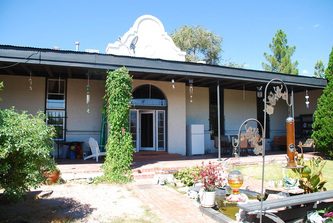 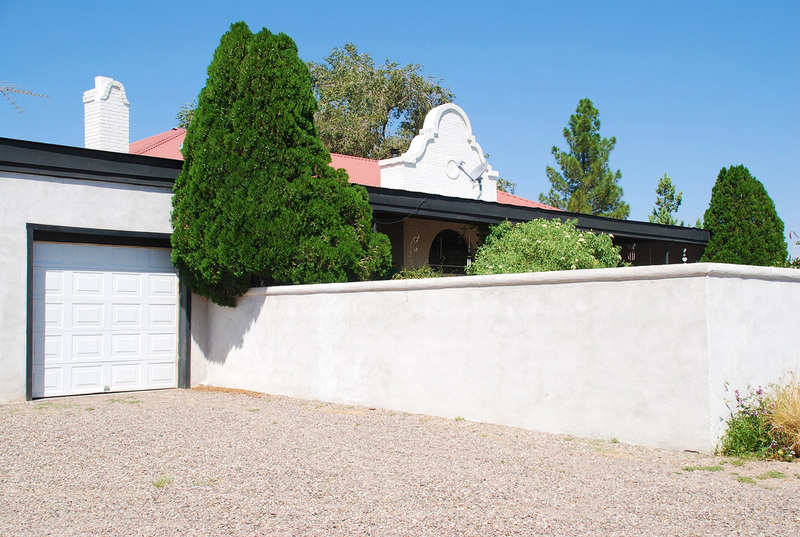 This Hacienda will make a wonderful home for any large family, or a family with in-laws, or it could be a very attractive Bed & Breakfast so near to the historic Village of San Antonio and the popular Bosque del Apache where, in Fall, thousands of birds arrive from Canada and several northern states of the US to winterize and breed. A property such as this one is hard to find. 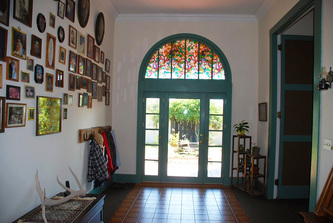 It is unique in its original style with high windows and vaulted ceilings. 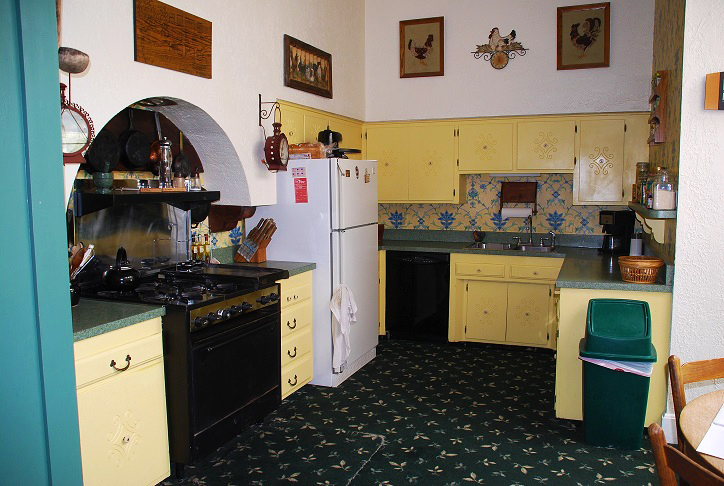 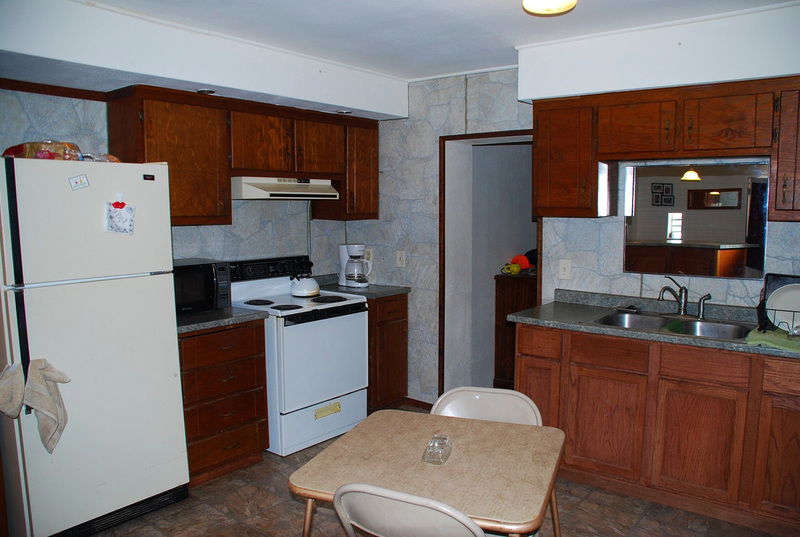 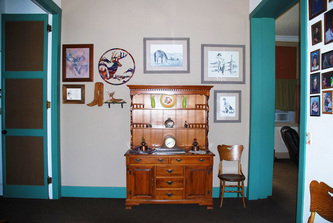 The very large kitchen, the two living areas in the main house, the large covered porches and gardens in front and back, as well as the guest house in the back offer plenty of space, charm and historic ambiance for large family entertainment, or attract groups of vacationers alike. 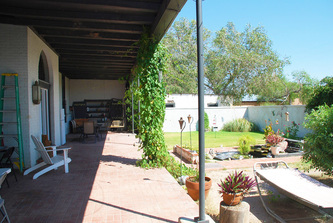 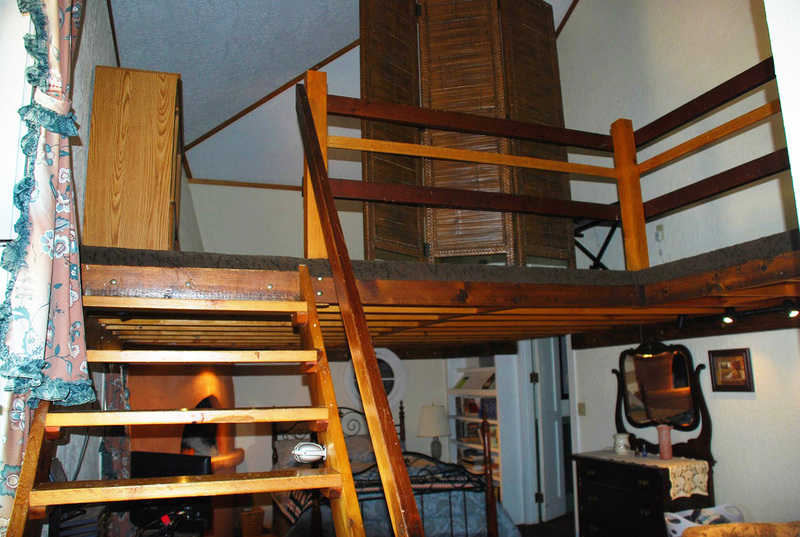 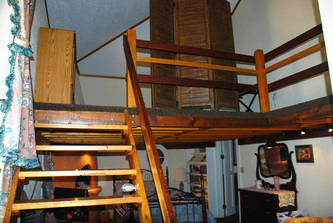 Additionally, the guest house could be rented to generate extra income.